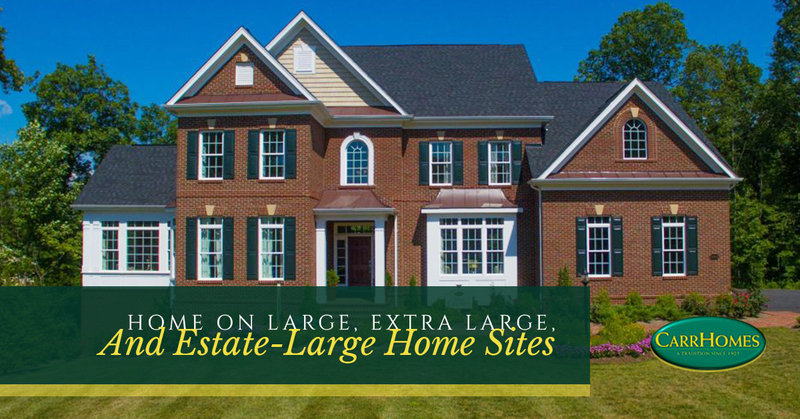 FAIRFAX/LOUDOUN CO. — If you’re looking for a new single-family home your family can move into now through the end of the year, CarrHomes has special new home values on wooded 1, 3 and 5-acre sites in Fairfax and Loudoun Counties. In Fairfax County, CarrHomes is offering a move-in ready 7,400 square foot, 3-car garage luxury home on a beautiful one-acre site in The Meadows at Great Falls. Highlights that distinguish this home include two front entries (one a service entry); a screened-in porch off the family room; and a finished lower level with rec room, den, media room, and full bath. And the price (lot #1) has just been reduced to $1,795,900 for sale and settlement by the end of the year. Also in Fairfax County on a spectacular, wooded 5-acre site in the uncongested small town of Clifton Va. is a move-in ready, fully-customized 5-bedroom, 5-1/2 bath Augusta model at Clifton Point. This grand 3-car garage residence, also with over 7,400 square feet of finished living space, feels even more spacious with 10-foot high ceilings throughout the main level. All four upper-level bedrooms of this luxury home include walk-in closets and private baths. The walk-out lower level is beautifully finished with a rec room, bedroom/den, media, room, wet bar and full bath. Lot #8 is priced at $1,199,900. In Loudoun County near the historic small town of Waterford, CarrHomes is finishing an award-winning Lancaster model for December delivery at Waterford Creek. This 4-bedroom, 5-1/2 bath luxury home with side entry 3-car garage is sited on a wooded 3-acre home site in an unparalleled residential setting. With an extended family room and light-filled rear morning room, plus a finished walk-out lower level with rec room, game room, and an additional full bath, this home offers luxury and value all in one. This Lancaster (lot #35) is priced at $899,900.